Intel has been already working for over one year at USB 3.0. The standard USB 2.0 has been among us for over eight years, a period that has enabled the development of a great deal of products that use this port to connect to the computer, whether it is to transmit information or, simply, to be fed by this means. But in those years there have also been seen the limitations of this standard, among which we found limited transfer rate and reloading capacity. For that reason, Intel has been already working for over one year at USB 3.0, the new protocol version, whose specifications have been introduced this week. It's appropriate to say that these specifications are not complete -only a 90 percent- but they will allow the rest of the manufacturers beginning to develop chipsets and designing accessories that use USB 3.0. But we are going to see which are the most important news in USB 3.0. This specification is intended to solve the limitations of 2.0, so the transfer rate and the quantity of energy transmitted have been increased. 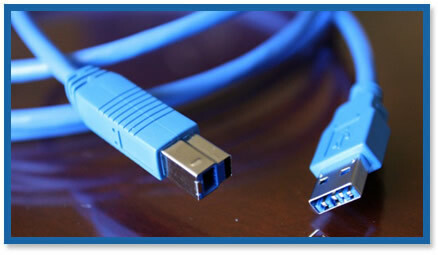 If in USB 2.0 the cable has four lines, a pair for data, one for power and one for grounding; in USB 3.0 there are five lines added. Two of them will be used for the transmission of information and other two for the reception, so bidirectional traffic is allowed, in both ways at the same time. The increase in the number of lines allows incrementing transmission rate from 480 Mbps to 4.8 gigabits per second or, approximately, 600 megabytes per second. By the way, that´s why it is also called: USB Superspeed. The amount of energy carried by an USB cable proves to be insufficient in many instances to recharge some devices, mainly if we used hubs where we have connected several of them. In USB 3.0, the intensity of power from 100 milliamps is increased to 900 milliamps, allowing us to charge more devices or to do it faster. 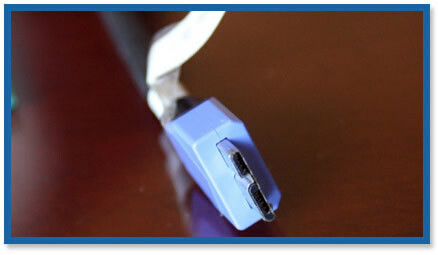 The same as between USB 2.0 and USB 1.1, compatibility is guaranteed between USB 3.0 and USB 2.0, thanks to the use of similar connectors, whose additional contacts are placed in parallel, they do not affect in case of using a different port. Intel expects to have USB 3.0's standard finished before the end of the year, so around the middle of 2009 the rest of the manufacturers will already have controllers for this protocol and, at the beginning of 2010, there will be appearing the first compatible devices with USB 3.0. Not forgetting, of course, the manufacturers of operating systems, that will have to provide suitable drivers for this new system.